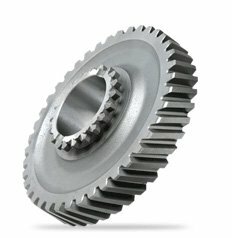 We are a stockist and supplier of Titanium raw materials in a wide range of forms and grades. many others. All of our material is sourced from approved mills with full traceability to fall in line with our quality commitment. TI-TEK(UK)Ltd is an ISO9001:2015 certified company and is currently working towards AS9120 Aerospace certification. Download a copy of our ISO9001:2015 Certificate. View more information about our Titanium Exhaust Technology Here . Alternatively you can visit our contact page, and send us a message via the form. Click here to view an interactive map of our location, and how to get to us from your postcode. We are delighted to announce the completion of 'The Stratford Shoal', a 250m titanium sculpture in Stratford, London. A series of curvaceous and branch-like steel 'trees' are arranged with a trellis like array of support points. On these are fixed giant leaf shapes of titanium that, like the leaves on a tree, move and respond to the wind,glistening as they gently move in the breeze.